BFFL duos are everywhere from TV shows, to movies, to books. 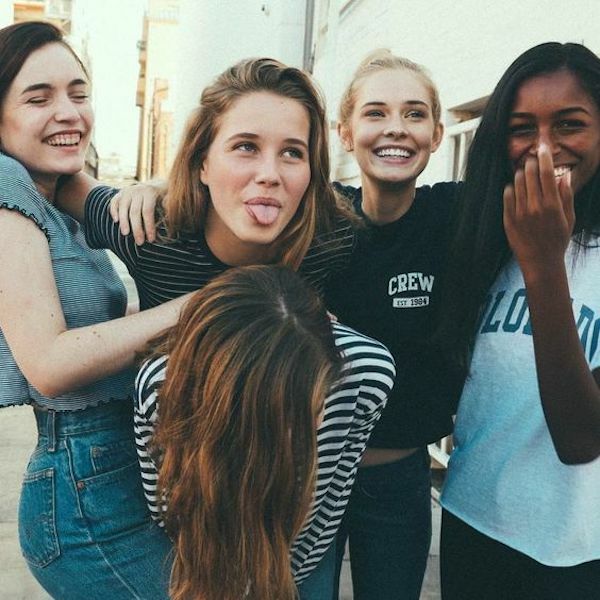 While many of us have that one girl that we do literally everything with, it’s really important to make sure you’ve got more than just one friend and here’s why. Getting to know different people with different backgrounds and interests is going to help you grow as a person. When you get the chance to learn about someone new, you have new insight and experience new things because they'll introduce you to what they like and vice versa. You’re stepping out of the box. Branching out is the key to individual growth. You know how comfortable you are with your BFF, but that’s because you already know everything you need to know about each other. Allowing yourself to step out of your comfort zone and letting your guard down with new people will really help build up your strength and confidence. You’ll have others to lean on. Literally no one can replace your BFFL, but that doesn’t mean you can’t lean on others. Say your friend is also meeting new people and doing more with them. It doesn’t mean she doesn’t totally love you anymore but don’t be left in the dust. It’s not her responsibility to always keep you entertained, you’ve got to make your own friends so you can have your fun, too. You’ll always have at least one person to talk to. When you’re in a new class, sport or school event without your BFF, if you’ve got more than just her as a friend, you’ll know at least one person you can talk to. This doesn’t mean everyone has to be your bestie, but you can be close enough to people to be able to hangout and talk to each other. It’s a skill you’ll need in the future. As you get older and need to start thinking about college and your career, networking is a huge part of it. Learning the skill to socialize and meet new people now is going to help you so much in the future. So get out there, girl, and start expanding your squad! Have you struggled to break away from your BFF? Tell us in the comments below!